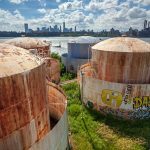 We first learned about the proposal to turn Williamsburg‘s former Bayside Oil Depot into a public park nearly two years ago. 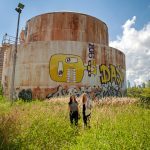 Since then, co-founders Karen Zabarsky and Stacey Anderson have been working tirelessly with a team of designers and environmentalists to refine their plans to be something both true to the site’s history and representative of where the neighborhood is heading. 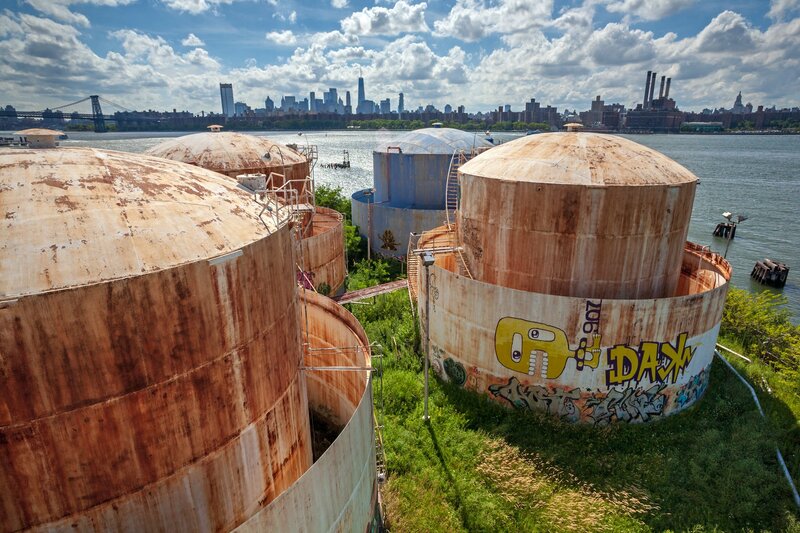 Part of the larger Bushwick Inlet Park, a 28-acre open space along an unused waterfront industrial stretch, the plan is unique in that it plans to adaptively reuse the 10, 50-foot decommissioned fuel containers, transforming them into everything from performance spaces to greenhouses. 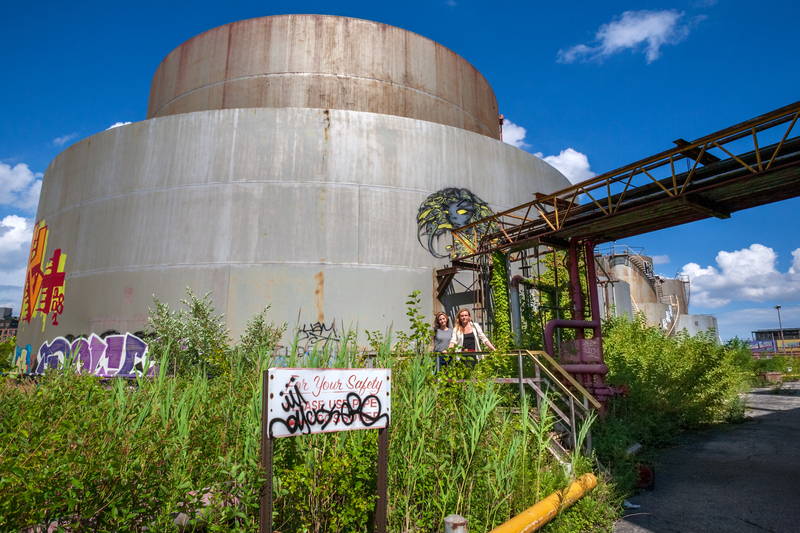 With a fresh name–THE TANKS at Bushwick Inlet Park–Karen and Stacey recently took 6sqft on an exclusive, behind-the-scenes tour of the abandoned site, giving us a glimpse into how this incredible industrial relic is poised to become NYC’s next anticipated park. 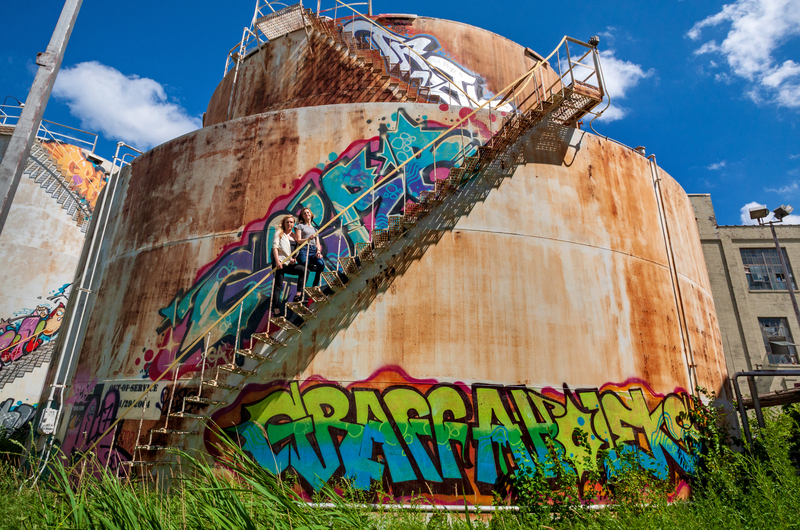 Get a rare, up-close look at the tanks, hear what these powerhouse women have been up to, and learn what we can expect in the near future. 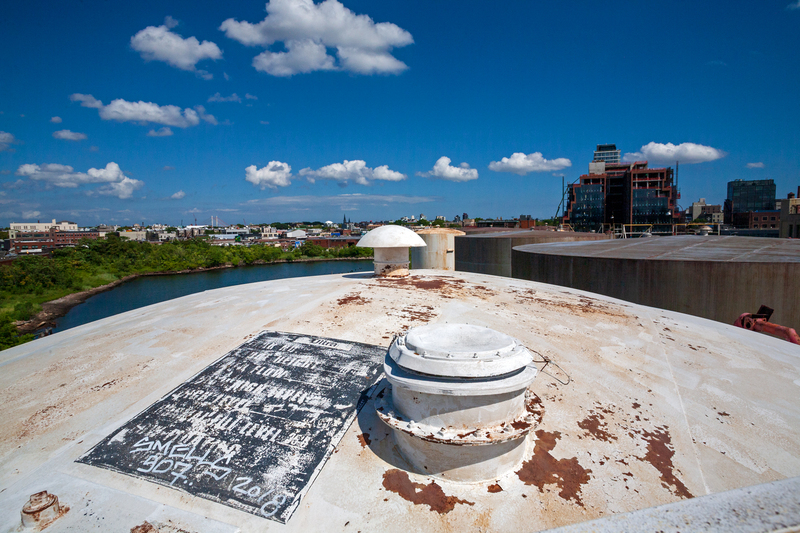 It’s been almost two years since your plans for the project were first revealed–what have you been up to since then? 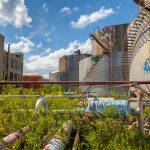 We’ve taken the past year and a half to step back, learn about the complex history and environmental condition of this site and surrounding neighborhood, listen to the community, and absorb the feedback we got on our initial proposal. We’re now headed in a new direction, spearheaded by the two of us, and in collaboration with the team of professionals that have shaped this vision from its inception: Studio V Architecture, Ken Smith Workshop, Pentagram, and many more. 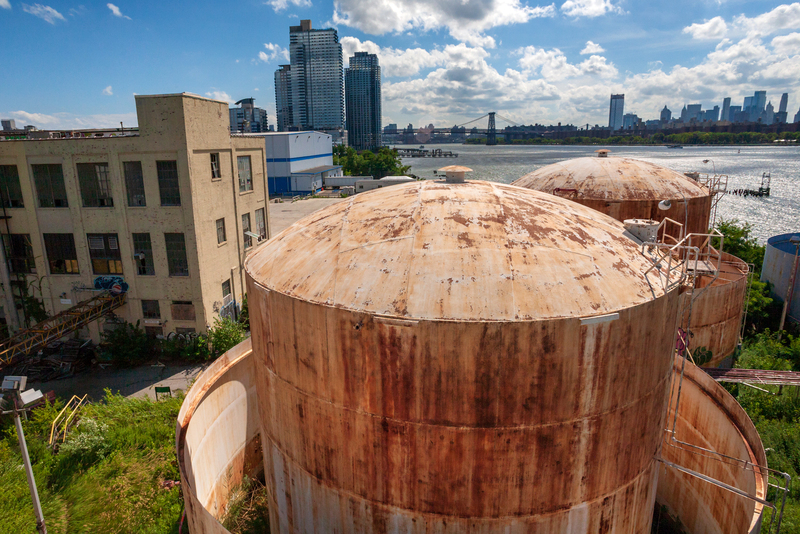 We feel that our sharpened focus on the iconic tanks, featured as one element of the larger 27-acre park, warranted a new name for the project: THE TANKS at Bushwick Inlet Park. Was there something that really surprised you in your talks with the community? 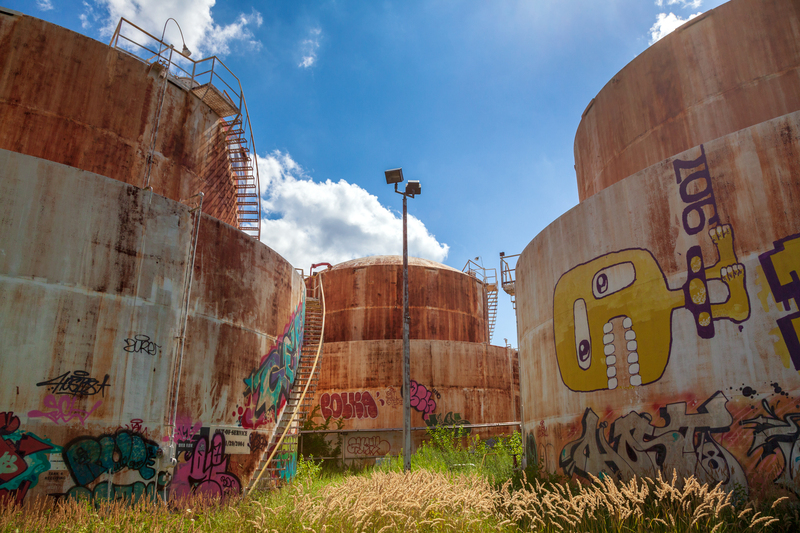 We were overwhelmed by the excitement and imagination elicited by the ten decommissioned oil tanks on the site. 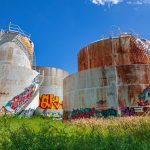 Individuals and organizations immediately approached us with ideas for ways the tanks could be creatively re-used for art installations, ecological habitats, and green spaces. 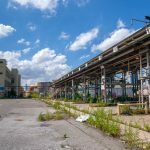 On the other hand, we also heard many concerns from long-standing community members regarding open space and the environmental condition of the site. 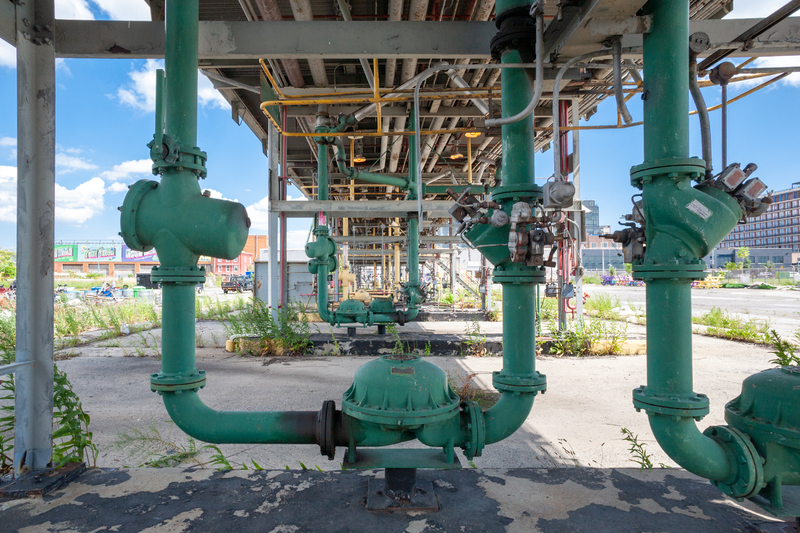 The site first came into use in 1867, at the height of Brooklyn’s Industrial Revolution, when American businessman, philanthropist, and petroleum pioneer Charles Pratt founded Astral Oil Works on the site. After John D. Rockefeller’s Standard Oil absorbed the company in 1874, Pratt used his earnings to found Pratt Institute. Later, it became Bayside Oil. 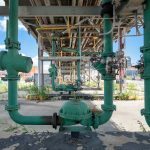 As for the environmental condition of the site, we are committed to showing that these structures can be adaptively-reused without compromising safety. 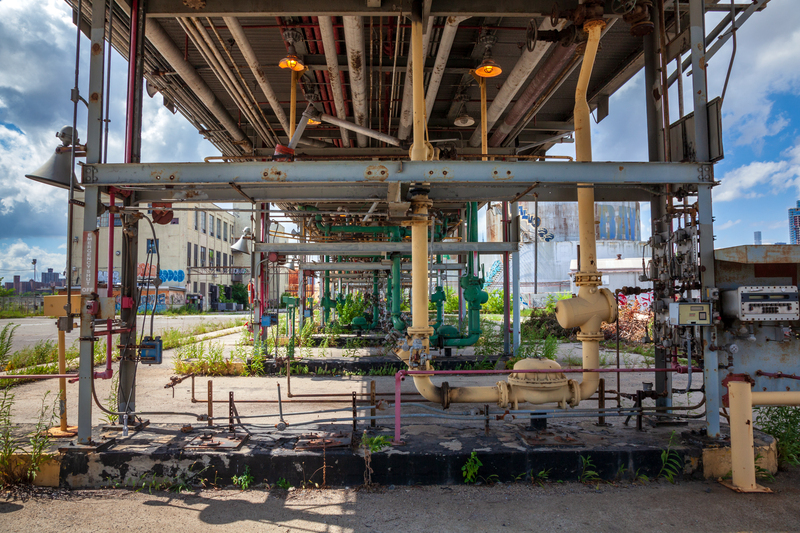 We’ve expanded our pro bono professional team to include environmental scientists and engineers, to further investigate the history and current state of the land. 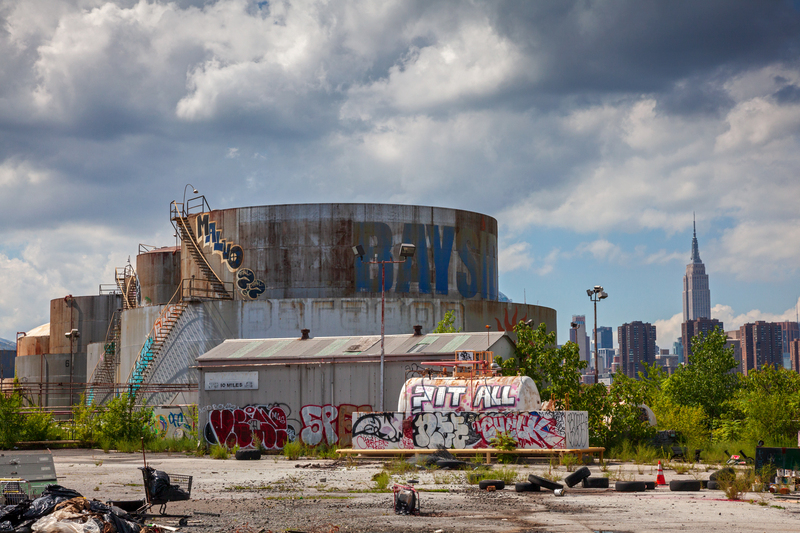 Like much of the Brooklyn waterfront, this site is imprinted with the painful remnants of decades of industrial uses. 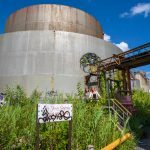 For many in the area, the memory and effects of the environmental degradation remain very fresh. 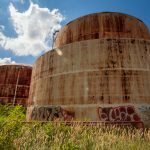 The land is heavily contaminated and must be remediated. We’re proposing a strategy that would yield safe, usable, and up-to-grade land, and would reduce community impacts such as noise and poor air quality caused by alternative methods. 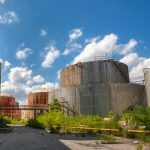 Rather than demolishing all structures, digging out the contaminated dirt, and bringing in new dirt (one proposed strategy), our team’s solution entails excavating hot spots of contamination, capping the site, containing the source material, and allowing groundwater to naturally attenuate over time. 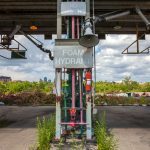 This is a proven and highly successful strategy utilized in waterfront parks across New York City and around the world. It is also dramatically more cost effective and time-efficient than the dig/haul approach. 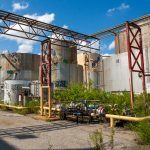 The city purchased the site in March 2016 for $53 million. 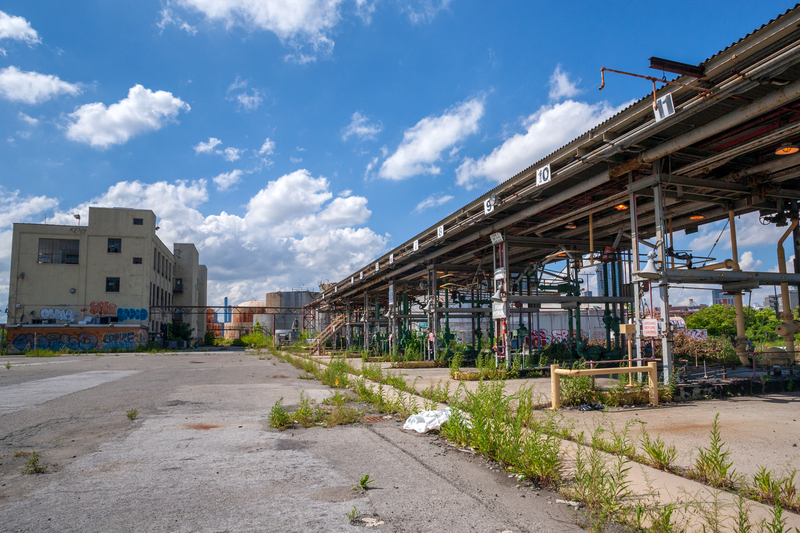 It was the last piece of land for the larger Bushwick Inlet Park project, a 2005 initiative of the Bloomberg administration that rezoned this Williamsburg/Greenpoint area for residential development in exchange for public space. 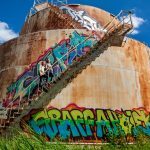 What are some of the uses you envision for the tanks? defining parks of the 21st century. 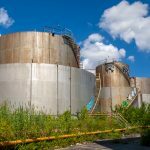 You mentioned that there are other international case studies for repurposing fuel tanks. Can you share what you learned from these projects? There are precedent projects on waterfronts across the globe, including Helsinki, Shanghai, Amsterdam, Seoul, and Germany. 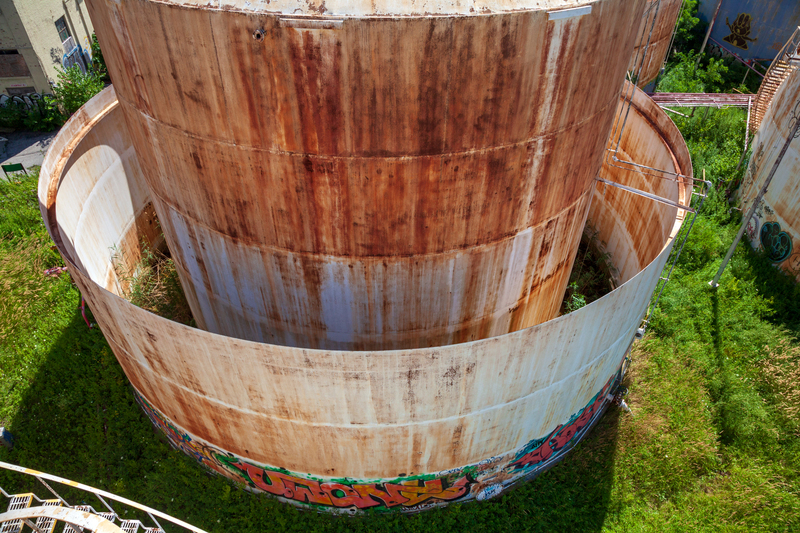 People throughout the world over are successfully re-using decommissioned tanks to serve communities in new ways. 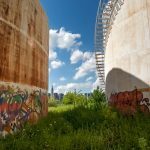 One great example is the Oil Tank Culture Park in Seoul, where the city decided to transform the former oil depot into a public space to preserve the historically significant site while raising awareness of sustainability and urban regeneration. 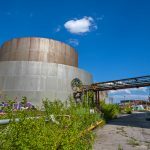 Six oil tanks remain on site and have been transformed into performance venues, exhibition halls, a coffee shop, and learning space. 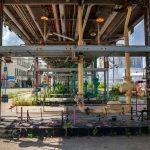 We’ve learned that breathing new life into these iconic industrial remnants in public space is not only possible, but contextual, historical, and imaginative in a way that demolition will never be. 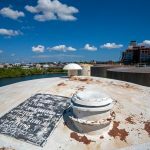 We’ve learned that adaptive reuse and preservation can be at once a tool for education and innovation, and certainly a marker of a site’s particular character and ethos. 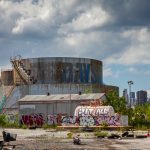 In 2007, the National Trust for Historic Preservation named Brooklyn’s industrial waterfront one of the nation’s 11 most endangered historic places. 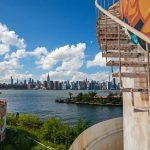 Domino Park, which also adaptively reused elements from a former industrial site, recently opened just down the waterfront in Williamsburg. What are your thoughts on this project? Did any of their design or landscape elements inspire you? inside them, stand on top of them. Of course under the precondition that they are completely safe. What other parks and public spaces, in NYC or elsewhere, do you admire? The parks that excite us the most are the ones that are playful, contextual, and programmable. 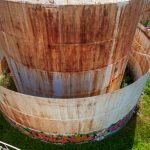 They have unexpected features that foster interaction and create unique social spaces for the community. 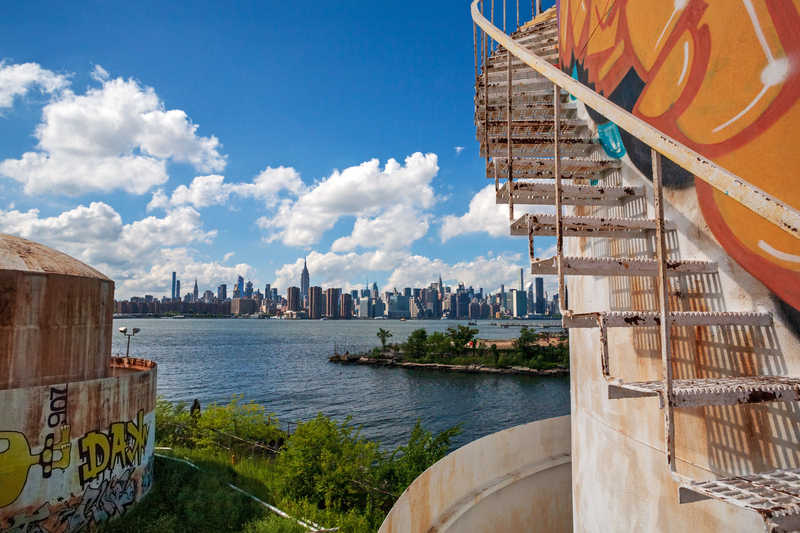 In New York, we love the hills and hammocks of Governor’s Island and the temporary North Brooklyn Farms, adjacent to Domino Park, in Williamsburg. 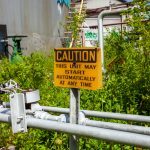 We of course also admire those parks that take stock of their history by incorporating industrial elements. 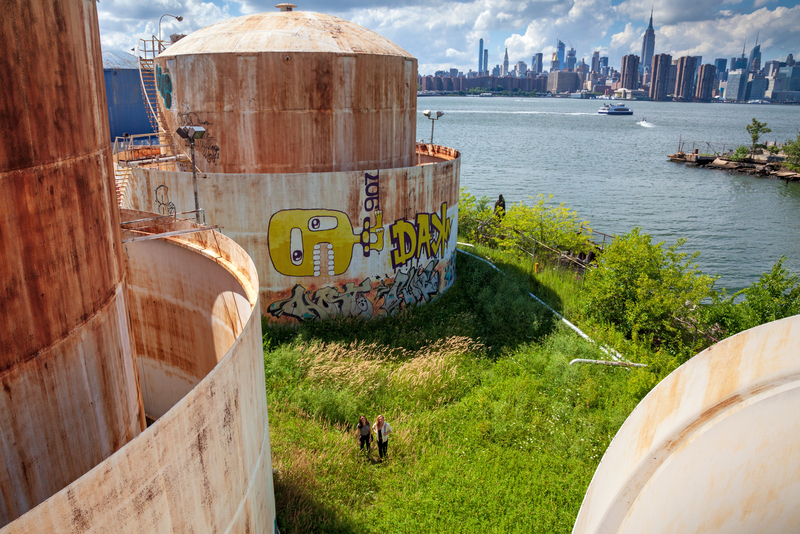 In NYC there is Gantry Plaza State Park in Long Island City and Concrete Plant Park in the Bronx, both of which utilized a similar capping remediation method to what we’re proposing for this corner of Bushwick Inlet Park. Europe does adaptive-reuse very well. Zollverein Park in Essen, Germany is one impressive example. 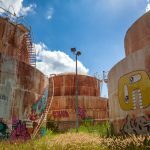 Formerly a sweeping coal mining complex, the site is now a public park that combines industrial archaeology, green landscape, leisure installations, and cultural facilities. You’re two females leading a team of mostly males. Is this meaningful to you? Of course, there are many reasons why you feel passionately about THE TANKS, but if you had to each narrow it down to one sentence, what would say? 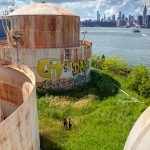 Karen: Williamsburg/Greenpoint is one of the most creative, vibrant, and out-of-the-box neighborhoods in the world, and it deserves a public space that reflects that ethos. 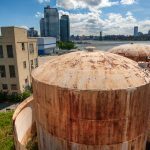 Stacey: The Brooklyn waterfront is layered, complex, and constantly being shaped and re-shaped — when there is the opportunity to tastefully incorporate elements of this history, rather than wipe them away completely, we owe it to future generations to do so. So, what are the next steps we can expect to hear about? All photos taken by James and Karla Murray exclusively for 6sqft. Photos are not to be reproduced without written permission from 6sqft. Video © Michael Ursone Films.